Paper egg tray making machine is used to recycle waste paper into pulp moulded products, such as egg trays. There are rich and cheap raw material resources, while the output can reach up to 9000 pieces/h. Obviously, it is a very profitable business plan. 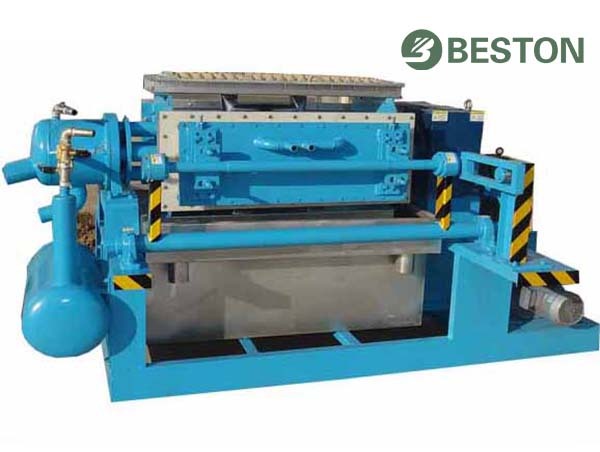 Beston Machinery has devoted to manufacturing and exporting egg tray machinery for about 20 years. During the two decades, we have developed various egg tray making machines at different specifications, 4-sided paper egg tray making machine included. It is of medium size, which is acceptable for many customers. Especially together with our mature technology and professional design, our egg tray making machines have been very famous among customers! In recent years, we have exported our egg tray making machines to many countries, such as South Africa, India, the Philippines, etc. Welcome to contact us now! We have two models of 4-sided egg tray machine for sale. Here are more parameters. 1.Rich and cheap raw material resources. We can find waste paper everywhere, including scrap paper, old books, old newspaper, discarded cartons, and they are cheap in price. Therefore, the total investment costs can be greatly reduced. 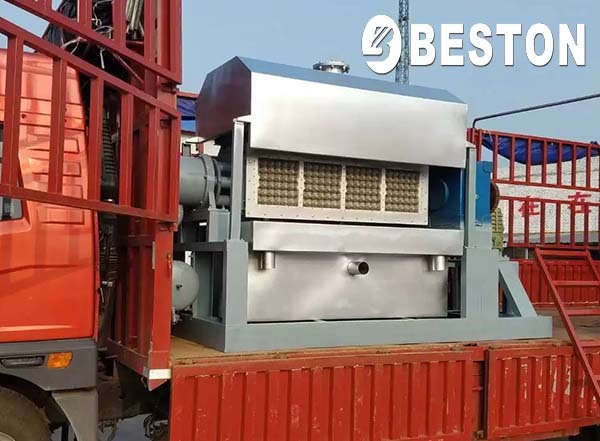 Besides, Beston pulp molding equipment can fully utilize the waste paper by lowering the consumption while improving the quality. 2.High stability and great performance. Beston always adopts the most advanced technology and the best design team. We have largely increased the working efficiency with a lower failure rate. Thus, you can produce more qualified paper trays through our machine. Meanwhile, we try to recycle the heat to make full use of your energy. Thanks to the high automation, it is easy and safe to handle the whole production line. Here is a video of BTF-3-4 paper egg tray making machine under work. 3.Reasonable paper egg tray machine price. Except for the best egg tray making machine price, we can also save more repairing expenses, fuel fees and labor force input for you. What’s more, our products are under one-year free warranty period. All Beston people are ready for you at any time. 4.Best service from presales to aftersales. We have a professional sales team who will provide you with the best investment solution. In addition to the top-quality egg tray manufacturing equipment, we also provide comprehensive training. Our experienced engineers will help you install all equipment properly. You can enjoy real worry-free shopping. 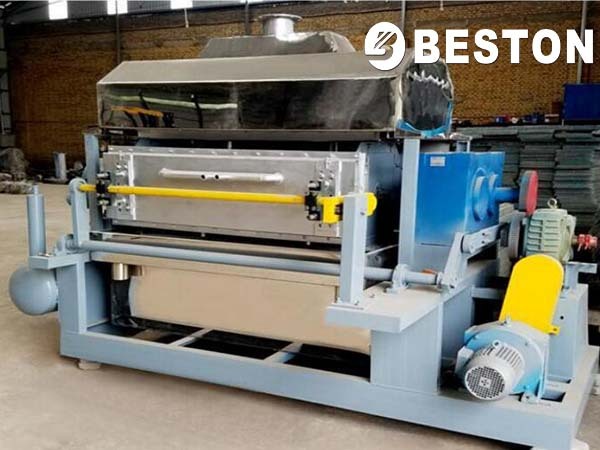 Considering the scale of BTF-4 series paper egg tray making machines, four kinds of drying modes can be chosen. If you have large enough space and nice weather conditions, you can choose natural drying to lower your investment costs. While if you want a more efficient mode, you can choose a brick drying line with carts or a conveyor belt. Relatively speaking, a brick drying room is the most cost-effective. However, if you don’t have bricks, we can supply you a metal drying room, which can make full use of space and energy. 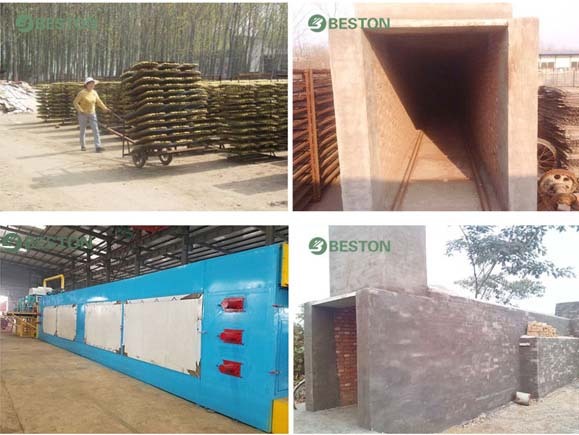 No matter which egg tray drying system you will choose, Beston always provides you with the best product and service.